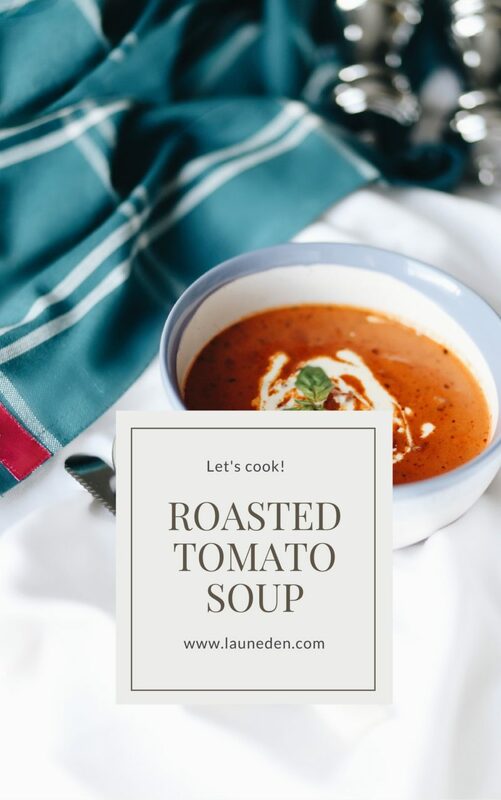 When the nights draw in and the air gets chilly, what could be better than a large bowl of warming, full-flavoured soup? 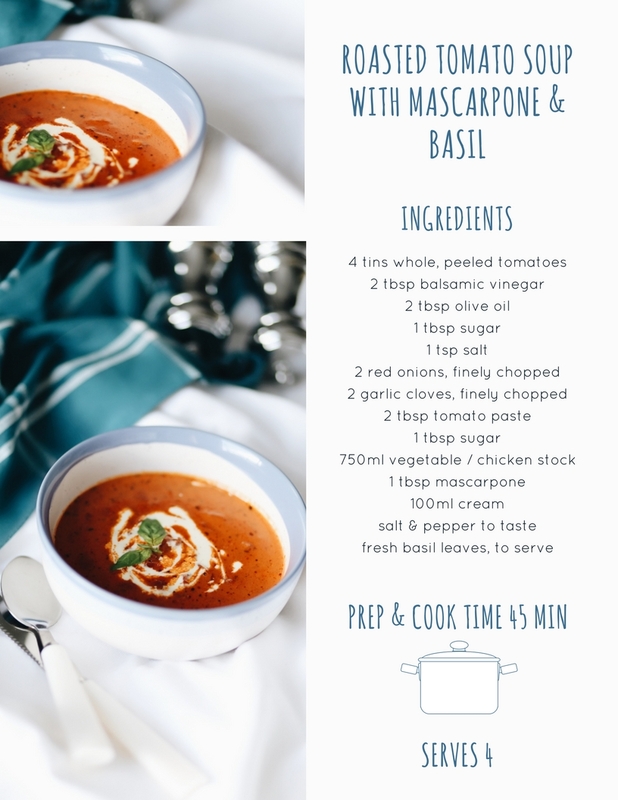 Settle in front of the fire, cosied-up on the sofa with one of my most-loved (and easy to cook, too) comfort food recipes – roasted tomato soup with mascarpone and basil. To make the soup, pre-heat the oven to 200°C. Place the tinned tomatoes and all their juices in a roasting tray, add the balsamic vinegar, olive oil, sugar and salt. Stir to combine and place in the oven for 25 minutes until the tomatoes have caramelised slightly. In a large pot, sauté the onions in some olive oil until they are translucent and tender. Add the garlic and fry for another minute. Add the roasted tomatoes, tomato paste, salt and pepper. Stir to combine all the ingredients and pour in the stock (for the stock I used one Knorr chicken stock pot dissolved into 750ml of boilling water). Lower the heat and cover the pot. Allow to simmer for 10 minutes. Remove the pot from the heat and blend the soup. Add the mascarpone, a swirl of cream and fresh basil to finish. Enjoy!